The following was written listening to Van Morrison. “According to the two powers tradition there were two powers in the Deuteronomy narrative’s account of the Sinai theophany – the god whose voice was heard from heaven and Eeshu, ‘his fire.’ I’ve taken the incredibly audacious step of identifying the being whose name ‘Eesu’ in Greek but spelled Iesous (the pronunciation attributed to itacism = ἰωτακισμός). I have also argued that the spelling of the ‘Jesus’ in the actual manuscripts of the early Church ΙΣ (the manuscripts never identify the Christian Lord as Ἰησοῦς. Indeed Irenaeus in the second century explicitly denies that Ἰησοῦς is the proper name of the Lord arguing instead for yeshu (and demonstrating that with an acronym YSU ‘the Lord of heaven and earth’ perhaps from Genesis chapter 2). Here’s my observation. Eeshu creates Moses in his image (as his earthly ‘twin’) – that is bringing him into his presence and impressing his ‘image’ or ‘likeness’ upon his person. Doesn’t the early Christian tradition argue for the same practice? There are so many ‘twins’ (Thomas) and ‘brothers’ (James) and ‘brothers of brothers’ (James and John, Peter and Andrew). There is also a clear ‘adoption rite’ where individuals are baptized and made a brother of Jesus, ‘the firstborn of many brothers.’ There is even the Islamic pseudepigraphal notion of Judas (or ‘Simon’ in the Basilidean tradition) literally taking on the appearance of Jesus. Note also the parody in the Pseudo-Clementines where Faustus ‘takes on’ Simon’s image and is hunted down by the authorities who want the Magus. “Another scholar, Margaret Barker (The Great Angel) is not persuaded by Segal’s explanation. She believes it is far more likely that Philo took the ideas of a mediating divinity from existing Jewish beliefs and adapted or described them in terms of Greek philosophy. That is, he did not attempt to play with the facts of Jewish beliefs to make them sound palatable to Greek philosophers. He merely used philosophical language to describe Jewish beliefs.” (Vridar, idem). The distinction between a supreme being and its derivatives (emanations) however is quite gnostic. For mathematics this is inconsistent bullocks. With this text you can drive people crazy. It states something like: “monotheism = compassion + justice” or 1 = 1 + 1. You may try for a formalisation in propositional logic or set theory: “monotheism = compassion (and ?)(or ?) justice”, but then you have to explain whether mercy can take priority over justice, or conversely. Justice & mercy might be heaven, no justice & no mercy would be hell, but what when only one is lacking ? Indeed, there is the “Akedah“: the willingness by Abraham to sacrifice Isaac, and the willingness by Isaac to be slaughtered, only to obey the law that Yahweh imposes on them. Their submission causes mercy, and Yahweh sends a lamb instead. Jesus however becomes the lamb, and the mercy extends to the believers in Christ who are saved from Original Sin. These are striking stories, but rather artificial, with childish simplicity. There are rather more complex cases in reality. The Torah dodges the real questions, like why women can’t be priests (if only by mercy). A proper modern answer however can be found in democracy, see the tale of the high priests of high treason. This present discussion has the underlying hypothesis that the Christian Church (CC) intended to link up Plato’s Demiurge with Torah’s Yahweh. A remarkable analysis is that Genesis might actually derive from Plato, see Godfrey’s report here. See an anthropological mechanism for the whole Bible. Of course, look also for Egypt and Babylonia. Plato is said to have visited Egypt. Godfrey discusses Greenberg, who is no academic egyptologist (his website). J.P. Allen provides an academic source. Alice C. Linsley taught philosophy & ethics at college and this is her take on Plato and Egypt. Obviously, the distinction between an all-powerful god and the derivative minions of justice and mercy is very gnostic. Now, gnosticism is as much a mess as the Torah, or religion overall – see this grand comparison map. I can put some tentative observations in Appendix C, but one could make it one’s life to get more clarity. I put some observations on snakes in Appendix B. The official (though inconsistent) view that the Torah had a monotheistic Yahweh allowed the true Christian Church (CC) to link up to Plato. Yahweh ~ Demiurge, since these were recognised as unique god(s). In this link-up the Demiurge was not an evil force but the supreme being. Philo tried to apply Greek logic to the Thora, and came up with the One and his minions. In this, he apparently relied on existing Jewish Gnostism (JG). His effort to link up to Hellenism showed a problem however. Plato linked the Demiurge to the creation of the material world, which in Judaic thought would be done by only an emanation. Philo implicitly invited the Christian Gnostics (CG) to present the Demiurge as an evil force. Hence my earlier weblog: that Simon Magus looks like a real heretic. The CC really wanted to get rid of the priesthood in Jerusalem, and CG had to be eliminated. The problem of the Torah & Philo had already been “solved” before by Egyptian religion or syncretic Serapis: the distinction between Osiris (Father, the One), Isis (Spirit, Mercy) and Horus (Son, Demiurge). This solution also leaked through into Christian Gnosticism early on, and later Christianity and eventually also the Neo-Platonists. Plotinus (204/5 – 270 AD) presented the One, the Intellect, and the Soul. These correlations of functions are not perfect, since Jesus might also be presented as bringing mercy, for example when Simon Magus presents him as a ransom for the Demiurge. What counts is the (undeveloped) logic or set theory behind some trinity. It is not clear yet who actually forms the CC in the years 70-100 AD …. Who wrote the Epistle to the Hebrews ? Subsequently, others have linked this to Josephus mentioning of a priest called Atomos, supposedly a Jew from Cyprus. Since Simon Magus is supposed to come from Samaria, there would be a problem with “Jew” and “Cyprus”. However, modern-day wikipedia also correlates Israel (Samaria) with Judea, and this will also have happened in the past, even by a Jewish author like Josephus. (PM. Godley’s discussion of “Jew”.) Perhaps the reference to Cyprus only reflects a short visit. The reference calls attention to Elymas (“Wise”, “magus” ?) a.k.a. Bar-Jesus, who is in conflict with Paul on Cyprus. Perhaps the Acts merely wish to create a smoke-screen on Paul’s true identity ? Some Gnostic sects are the Naassenes (reminding of nazoraios, but without r), the Sethianism and the Ophites in general. I tend to associate these sects with the Therapeutae since we still see medical doctors using the caduceus symbol with a snake. Snake poison would be a powerful medicine. It remains to be seen how this further relates to Hippocrates from Kos, but the god Asclepius who was associated with Serapis at least had his staff with a snake. And, just to be sure, since we are discussing Original Sin indeed, there is also a link to Apophis & the tree of life (not necessarily knowledge), and there is also a contention that Ophiuchus should be a 13th astrological sign in the zodiac. This appendix essentially compares a Jewish encyclopedia article with an introduction of a Hag Nammadi library. “heterodox segment of the diverse new Christian community”. Thus no Mithra or so. “Stephan Hoeller explains that these Christians held a “conviction that direct, personal and absolute knowledge of the authentic truths of existence is accessible to human beings, and, moreover, that the attainment of such knowledge must always constitute the supreme achievement of human life.”” This would explain that Simon Magus ~ Paul thought that he could rely on “revelation” as a source of knowledge about Jesus. “Clement of Alexandria records that his followers said that Valentinus (100-160 AD) was a follower of Theudas and that Theudas in turn was a follower of St. Paul the Apostle.“ This is remarkable, and at least shows an awareness of Josephus (if it is the same Theudas). Following might merely be on ideas, not in person. “By 180 C.E. Irenaeus, bishop of Lyon, was publishing his first attacks on Gnosticism as heresy”. But we may assume that the problem already existed with the Bar-Kochba Revolt in 132-135 AD and when Marcion presented his proposal to abolish the Torah (called heretic in 144 AD). Third: “its reverence for texts and scriptures unaccepted by the orthodox fold. (…) Irritated by their profusion of “inspired texts” and myths, Ireneaus complains in his classic second century refutation of Gnosticism, that “…every one of them generates something new, day by day, according to his ability; for no one is deemed perfect, who does not develop…some mighty fiction.”” One can understand the feeling. Compare nowadays the productive Michael Baigent, and Dan Brown with the Da Vinci Code not adequately referring either (at least morally, see justice and mercy). Fourth: “This is the image of God as a dyad or duality. While affirming the ultimate unity and integrity of the Divine, Gnosticism noted in its experiential encounter with the numinous, contrasting manifestations and qualities. In many of the Nag Hammadi Gnostic texts God is imaged as a dyad of masculine and feminine elements. “ Though this is called unorthodox, we find some aspects also in the Torah, as explained. But if you don’t refer and don’t do the syllogisms, then you might think indeed that you are being unorthodox. The Gnosticism relevant for Christianity (CG) had Jewish (JG) origins: “It is a noteworthy fact that heads of gnostic schools and founders of gnostic systems are designated as Jews by the Church Fathers. Some derive all heresies, including those of gnosticism, from Judaism (Hegesippus in Eusebius, “Hist. Eccl.” iv. 22; comp. Harnack, “Dogmengesch.” 3d ed. i. 232, note 1). It must furthermore be noted that Hebrew words and names of God provide the skeleton for several gnostic systems. Christians or Jews converted from paganism would have used as the foundation of their systems terms borrowed from the Greek or Syrian translations of the Bible. This fact proves at least that the principal elements of gnosticism were derived from Jewish speculation, while it does not preclude the possibility of new wine having been poured into old bottles.” This does not preclude foreign influence however (Serapis, Egypt). “Cosmogonic-theological speculations, philosophemes on God and the world, constitute the substance of gnosis. They are based on the first sections of Genesis and Ezekiel, for which there are in Jewish speculation two well-established and therefore old terms: “Ma’aseh Bereshit” and “Ma’aseh Merkabah.”” But the article argues that the Jewish priesthood regarded the discussion as improductive. Judaism remains monotheistic, but the Gnosis allows a distinction between God and the Demiurge: “The characteristic words “hakam u-mebin mi-da’ato” occur here, corresponding to the Greek designations γνῶσις and γνωστικοί (I Tim. vi. 20; I Cor. viii. 1-3). The threefold variation of the verb in the following passage is most remarkable: “In order that one may know and make known and that it become known, that the same is the God, the Maker, and the Creator” (… reference …); these words clearly indicate the gnostic distinction between “God” and the “demiurge.” “ But this presents the gnostic view, while for the CC the Yahweh ~ Demiurge still would be valid. “The Jews of course emphatically repudiated the doctrine of the demiurge, who was identified by some Christian gnostics with the God of the Old Testament and designated as the “accursed God of the Jews,” from whom all the evil in the world was derived (…). The monotheism of the Jews was incompatible with a demiurge of any kind.” Incompatible with a Gnostic Demiurge, but compatible with the CC interpretation of Plato. Does the Torah have a notion of Original Sin ? My last weblogs assumed that the Torah had a notion of Original Sin. In this, I followed the reasoning of the Epistle to the Hebrews and the philosophy of Paul ~ Simon Magus. However, rabbi Tovia Singer argues that Paul gives a distorted view of the Torah. “This stunning misquote in Romans stands out as a remarkable illustration of Paul’s ability to shape scriptures in order to create the illusion that his theological message conformed to the principles of the Torah. By removing the final segment of this verse, Paul succeeded in convincing his largely gentile readers that his Christian teachings were supported by the principles of the Hebrew Bible. But the word is very near to you, in your mouth and in your heart, that you may do it. But what does it say? “The word is near you, in your mouth and in your heart” (that is, the word of faith which we preach). If you do what is right, will you not be accepted? If, though, you do not do what is right, sin is crouching at your door; it desires to have you, but you shall master over it. For Christian architects like Paul, Augustine, and Calvin, this declaration of man’s capacity to restrain and govern his lust for sin is nothing short of heresy. Moreover, the fact that the Torah places these assuring words immediately following the sin in the Garden of Eden [ftnt] is profoundly troubling for the church. How can depraved humanity control its iniquity when the Book of Romans repeatedly insists that man can do nothing to release himself from sin’s powerful grip? Yet notice that there is nothing in the Eden narrative that could be construed as support for Paul’s teaching on humanity’s dire condition. On the contrary, in just these two inspiring verses, the Torah dispels forever the church’s teachings on original sin. Yahweh offered the law so that his chosen people could follow these and know that he would be satisfied. Perhaps Yahweh did not count it as “sin” if his commandments were not obeyed. But, he would not regard it as positive. On the day of judgement it would not be counted in favour. When it was determined who would go to heaven, why would you be selected ? Not being selected (e.g. being neglected) would be a punishment. Thus, we may hold that the very notion of “law” implies the notion of “sin”. A fortiori, we have Torah texts in which Yahweh sends out punishment. Thus mercy is not automatic. Singer likely is right that the Torah has no explicit statement on Original Sin. He is wrong about the logical implications from the Torah. Obviously Paul should not have changed the Torah quotes. He should have explained that those were inadequate for saving your soul, for above reasons. It doesn’t seem unreasonable that Paul could presume that the Torah had the equivalent of Original Sin. When Christian teaching to Judaism isn’t very effective, this might be because Judaism neglects the logic in the Torah, or adopts an irrational hope for the mercy of Yahweh, or they don’t believe in the fairy tale of Paradise. Rabbi Tovia Singer should have told us this analysis instead of giving this rather simplistic criticism of Paul. For completeness I refer to the wikipedia article as a portal to more views. I just discovered that Paul ~ Simon Magus found a way to still get to Paradise without Jesus, namely by means of Gnosis. His assertion would be another argument for the Christian Church to get rid of Gnosis. Robert M. Price makes a distinction in the purposes of a Gospel – to relate a narrative – and an Epistle – to argue a case. See his The marginality of the cross (2004-2005). And I write this listening to Yes: Tales from topographic oceans. Two blogs ago I showed how the Epistle to the Hebrews (thus not the Gospels) gave the logic of the true Christian Church (CC). Yahweh’s covenant with Moses is demolished, and Jesus’s sacrifice creates the new covenant. Every believer is saved from the Original Sin created by Adam in Paradise: if only you believe in Christ – without the need to adhere to eating laws and such. Logic requires that Jesus’s sacrifice is a real sacrifice, and not some spiritual event only. By the sacrement of the Last Supper everyone can eat Jesus’s flesh and drink his blood, thus partake in Jesus’s death and the release from Original Sin. Indeed, who is dead has no obligations to an earlier contract anymore. And when a new law is written, the old law is kept on record to warrant where the authority derives from. If Jesus’s death serves a purpose, why not let him die of old age and set a good example in that manner ? Why the choice of crucifixion, with all that suffering involved ? Some gnostics held that Jesus as celestial being could not suffer anyway, but the true Christian Church really wanted him to suffer. Why, what is the purpose of that suffering ? Also, who is responsible ? Is it Satan / The Snake who has seduced / abducted the soul ? In that case it would suffice to pay him a ransom to release the human soul from such slavery of the flesh. If it is the human soul all by himself who is responsible then it would be a veritable sin, and then we would need punishment and sacrifice to have justice done. See here for a short discussion of Original Sin in the Torah. The true Christian Church (CC) created a merger of Yahweh of the Torah with the Demiurge of Plato. This had the advantage of a claim of an ancient religion, all the way back to the creation of the world. The gnostics (a) moved Plato’s Demiurge to the second place as relevant only for the material world, (b) inserted a world spirit as more important in the top position, and (c) abolished the Torah as no longer relevant. The agreement was on a new covenant, the replacement of circumcision by baptism, and the opening up of Judaism to the hellenistic world. The disagreement was on the ancient claim and the importance of Plato and the flesh. Key gnostic Simon Magus presented Jesus’s sacrifice as a ransom for the Demiurge, like a price paid for release from slavery of the flesh. He was ridiculed by the CC by comparing him how he paid a ransom to relieve his lover Helen from prostitution. The CC insisted that Jesus’s sacrifice meant a salvation from sin. Simon Magus ridiculed this by saying that sin no longer existed when the law of the Torah that defined sin was abolished anyhow. This however is a feeble wisecrack, when the major problem for the gnostics was that they had to tell the supporters of Plato that this greatest of the Greek philosophers had made the mistake of overlooking the true God of the spiritual world. The CC embraced Plato and the importance of the material world. The suffering by Jesus logically established the importance of the flesh. Logic required that one party was right and the other party was the heretic. The logic of the CC is very legalistic, quite in the spirit of the Torah or the courts in Alexandria. We know that Egypt was a very hierarchical society. See (war) historian Richard A. Gabriel Jesus the Egyptian: The Origins of Christianity and the Psychology of Christ. See D.M. Murdoch, Christ in Egypt. Christianity is much rooted in the syncretic religion of Serapis. Christianity is targetted at widening the syncretism of Serapis with Judaism. The Torah resists syncretism since the covenant with Moses assigns supreme power to the king and priests in Jerusalem. The only solution for Alexandria is to design a new covenant. The Torah can be kept as a sign of diplomatic kindness. The gnostic approach to abolish the Torah is too radical and needlessly harsh, and would block the syncretism for the Jewish priests with their vested interest in the Torah. If you throw out the Torah, adherents to the Torah would not be motivated to look into the argument that the Torah itself leads to its abolition. Gnosticism was very popular in Egypt and Samaria, the area of the old kingdom of Israel that had been more affected by the Babylonian period compared to the kingdom of Judah. But the target was Judea and Jerusalem that stuck to the Torah. Ergo, gnosticism has to go. Points to note are: (1) Price assigns the Epistle to the Hebrews to Paul, but actually the author is debated, and it would not be Paul when he would be equated with Simon Magus, who would speak about “ransom”. Given the elegance and determination of the logic in the Epistle, I would deem that the author must be well educated, and likely in Alexandria (rather than perhaps gnostic or Jewish-Christian Antioch). (2) Price emphasizes the moral content of sin, while at stake is the theological issue of the Original Sin (the arrogance of Adam to want to know as much as God himself), not for itself, but because of the logical argument in Hebrews against the priesthood in Jerusalem. Indeed, the theme of flesh comes with the theme of blood. But, in practice, Jesus might have made a small cut and sealed the new covenant with his blood, without much suffering. Thus the issue of blood is secondary. The real point remains that the suffering is needed for the logic in Hebrews that we are not dealing with a spiritual event only. “But for our purposes, the point is that the passage would complete the parallel between Exodus 24:7-8 and various portions of Matthew, implying strongly that the evangelist intended the death of Jesus as a saving event in the particular sense that it inaugurated a new covenant of faithful observance of the Torah and the commandments of Jesus, the new Moses. We are far here from any sort of Paulinism, much less any traditional orthodox soteriology. One might invoke the theology of the Epistle to the Hebrews, which is usually located in the Paulinist orbit: does it not similarly suppose that Christ brought a new covenant, sealed in his blood? And is not the result apparently the wholesale dispensing with the ritual regulations of the Torah? Not at all. (Our task here is to expound the teaching of the gospels, not the epistles; the relevant issue is whether Hebrews casts any light on Matthew.) The sympathies of Hebrews would seem to lie more in the direction of the Dead Sea Scrolls community, given (among other things) the mention of repeated baptisms (Hebrews 10:22) and the esoteric doctrine of Melchizedek (chapter 7). It is not evident that the writer to the Hebrews envisioned believers as forsaking ritual observance. All his talk about the superannuation and obsolescence of the temple sacrifice system is better understood as a kind of theodicy for the fall of the temple in 70 CE. [ftnt] The end of the sacrifices need not have entailed suspension of other laws, as the Javneh deliberations of Rabbinic Judaism make perfectly clear. But absolutely no doubt can remain about Matthew: he certainly believed exhaustive legal observance was incumbent upon every disciple. Matthew 5:17-19 even condemns Pauline Christians for so much as relaxing commandments, and the least important ones at that. Remember, too, that Matthew 23:23 congratulates the Pharisees for tithing garden herbs, though he faults them for neglecting weightier issues (unlike the Q original, preserved for us only in Marcion’s text, where Luke 11:42 lacks “without neglecting the others”). We can find the same reasoning in Price’s review of Eisenman’s 2006 book The New Testament Code. The distinction between an Epistle and a Gospel may well allow for the situation that Matthew only relates a story without being quite aware of the logical significance of the crucifixion for the theological argument. But his change from Mark’s “ransom” to “sin” suggests that he wants more distance from the gnostics. While Mark’s use of “ransom” points to a desire to link to the gnostic view, his very Gospel consists of a creation of a human form in the flesh on Earth, which doesn’t fit the view of a celestial being. Mark would belong to the gnostic view that Jesus’s flesh is a ransom for Plato’s Demiurge of the material world (and no real sacrifice since sin doesn’t apply for the spiritual world). The DSS sect would rather keep the Torah and plead for the appointment of a Zadok high priest, rather than the abolition of the authority of Jerusalem and Torah, which the Epistle to the Hebrews does. The pun on Damascus indeed seems like a pun, but it leads too far to conclude that death of Jesus would be secondary. Simon Magus still presents this death as a “ransom” to get rid of the Torah. It is not entirely clear from this, yet, that the gnostic Simon Magus really had first joined the Torah-zealous movement. Luke presents the Gospel to the civilised world and wants to get rid of the primitive human sacrifice. This time window of the DSS fits the time shift hypothesis by Lena Einhorn, that the events really happened around the destruction of Jerusalem and Temple in 70 AD, and were only placed narratively a generation (of 40 years) earlier, (a) to not alert the Romans, (b) to present this destruction as punishment for not listening to Jesus. Still, this hodge-podge or sects makes one doubt what the real goal of the DSS sect(s) would be. I take my clue from the teacher of righteousness. It may well be that it started 159 BC when the Maccabees failed to appoint a proper descendent from Zadok, and that over time the messianistic interpretation grew. We can allow that Theudas / John the Baptist and later James took over as leader of the main group. There still is no natural explanation how Paul or Simon Magus would first join up and later dissent again. Perhaps before 70 AD there was a natural reason to join forces against the clique in Jerusalem, and differ forces after 70 AD when that clique was gone ? In an amazing recent series of discussions, Roger Parvus looks again at the older hypothesis that Paul = Simon Magus. He shows how CC interpolations reduced the gnostic (ransom) view and inserted the CC (sacrifice) view. The CC story that Paul originally was Saul who persecuted the CC is analysed as an inversion of the true story: that Simon Magus originally was a partner in the CC but later deviated from the flock. This still doesn’t explain the relation of the CC to the DSS sect(s), and how the CC got to dominate the Torah-abiding group led by James (though perhaps lack of good leadership after his death). This weblog text for today is already too long. Continued tomorrow. For today we at least understand why the CC was so determined to get rid of gnosticism. My overall argument w.r.t. mathematics is that it ought to be used to enlighten issues, and not darken them. It is with this objective that my essay The simple mathematics of Jesus investigates the origin of Christianity. Mathematics can be used for geometry and numbers, but also for patterns in general, and students may be interested in the application to gods, pyramids, lost civilisations, and, indeed, the Anunnaki. Mankind got evicted from paradise by a snake, and why could those not have been snakelike aliens ? It helps to see the potential cause for the story: paradise as the section of the sky around the North Pole where the stars never set (do not die), and the constellation of Draco as the snake who replaces the “polar star” due to precession. There are great stories to tell in this manner. In the mean time, I write this text listening to Marvin Gaye “What’s going on”, 1971, see here live and here. 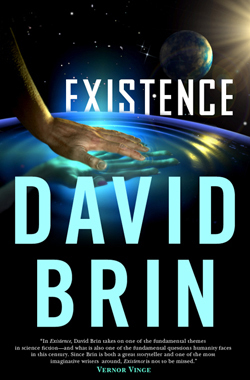 David Brin has a great science fiction book on contact with aliens, Existence. We should be fools to neglect that issue. Brin also discusses one alien species we might meet really soon: artificial intelligence …. Perhaps Google soon succeeds in its objective to create a God that can guide mankind in these troublesome years ? Noteworthy is Brin’s: An Open Letter to Researchers of Addiction, Brain Chemistry, and Social Psychology. His suggestion is that mental feedback can work like a hard drug. Gambling is an obvious example, but just look at a preacher in religious rage and it is hard to avoid the impression that we see an addict. It may be that religion can be a hard drug too, since it is designed to create similar processes of mental feedback. An antidote is to sit down and walk through the logic of the argument. Indeed, do the mathematics. Whether someone believes in a religion is up to that person, but we should be able to debunk delusions how such a belief should affect other people. 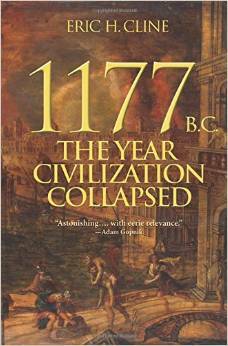 Eric Cline’s book on a 1177 BC collapse of civilisation makes for fascinating reading, but is somewhat disappointing on the reliance on the “chaos theory” of a system collapse. This seems too much like a “deus ex machina” or like stating “it just happened”. Of course, if kingdoms rely on each other via trade routes, and people on the move disrupt things, it somewhat becomes something that you can imagine. But the reader would like to see more hard evidence and more causality. What about volcanic activity, from Iceland to the underwater volcano’s in the Mediterranean that we don’t hear about enough ? Books like this would enhance in strength if they would better indicate what questions need to be answered to arrive at a clearer picture. Cline’s discussion (p89-96) of the exodus suggests at best a date of perhaps 1250 BC, and that locals benefitted from the downfall of civilisations around them, rather than really conquering it like the Bible suggests. This sceptical story presents a challenge to the story as Booysen sees it. I came upon Riaan Booysen’s website because of the links between Jesus, Paul, Simon Magus and the Egyptian, see my last blog texts. However, he doesn’t deal with Molnar’s approach that was topic of discussion at the Groningen conference last Autumn. This isn’t a real problem since Aaron Adair with his book on the SoB already had rejected Molnar’s approach too. See his Gilgamesh blog on the conference. The organisers of the Groningen conference hadn’t really looked at Adair’s book yet. Apparently to this day have a hard time accepting that also Molnar’s approach can’t be the answer. Perhaps they can include Booysen’s discussion in the book that they are writing on the issue (even though he wasn’t at the conference). (2) His discussion of Thera and the exodus develops the link that everyone has been wondering about. The plagues of Egypt and the exodus so much remind of a volcanic eruption and a tsunami that there ought to be a link. My own tentative solution to the problem is that Thera caused a web of stories, and that the writers of the exodus pieced together a narrative from all of this. Canaan used to be Egyptian territory, but the ties were weakened and the locals started for their own: they might have presented a justification based upon Egyptian royal records. This might be written in the Babylonian period, so that the reference to Egypt would not upset the Babylonian rulers. But, this is mere speculation and quite vague. Booysen presents a very specific scenario instead. Traditional dating of the eruption is around 1500 BC, with an olive branch between 1627 BC and 1600 BC. Booysen suggests that this was from an earlier eruption, and targets a date for the real big event during Amenhotep (1391-1353 BC). Good evidence seems to be Amenhotep scarabs found in sites of destruction at Jericho and Knossos. There is also a scarab of Tiye in Mycene (here its picture) but a point there is that it might be treasured over the ages. It is upon the research community to check his arguments and subsequent story. Booysen refers to more floods in Greek mythology, but those seem to be too vague to be of use, while some floods seem to refer to astrological events anyhow. Booysen also points to the accepted period of abandonment of Knossos. Wikipedia: “The palace was abandoned at some unknown time at the end of the Late Bronze Age, c. 1380–1100 BC.” Thus, how could it have survived the destruction of an early Thera ? Wikipedia might have it wrong. See this Amarna letter quote: perhaps Mutemwiya was a Mitanni princess arter all. But an old claim is that Egyptian royalty didn’t marry foreigners … Overall, Booysen’s approach at least strengthen’s the idea there was Mitanni influence on the sun-worship of Akhenaten. Amenhotep still is removed from 1177 BC, even when his big statue was toppled by an earthquake around 1200 BC. A more conventional story is that Thera around 1600-500 BC explains some plagues but that others are explained by the climate change that caused the Nile to dry up at the capital Pi-Ramesses of Ramses II (1279 – 1213 BC). It was Psusennes I (1047-1001 BC) who relocated the city with its monuments to Tanis (biblican Zoan). Booysen prefers an intended slaugher: “These children were executed as commanded by the king (and his high priest).” However, it might only be an exaggeration of an event only applying to the crown prince. As crown prince Thutmose apparently escaped as Moses (in Booysen’s take), to be succeeded by Akhenaten, we still see that Smenkhare ruled only short, and that Tutankhamun was murdered or at least died young. His death might be taken as a symbol for restauration of old Egyptian subborn polytheism. Still, it is not quite explained that Akhenaten embraced the sun while the Judaism of Moses deals with the moon, see the god Yah. Did their mother Tiye raise their two sons on a different god ? (3) On ancient enigmas and anomalies, Booysen admirably collects various issues circulating on the internet, with telling pictures to make the point that there is something to explain. However, sometimes, or perhaps often, there are explanations. Let me point to the “Ancient Aliens Debunked” series on YouTube, starting with the Tolima Figher Planes. Another amazing title is “Ancient aliens caught lying“. It would be better if Booysen would reorder into those cases that he considers debunked and those that remain questionable. (4) On Terra Australis Incognita and Atlantis, I have no comments yet. 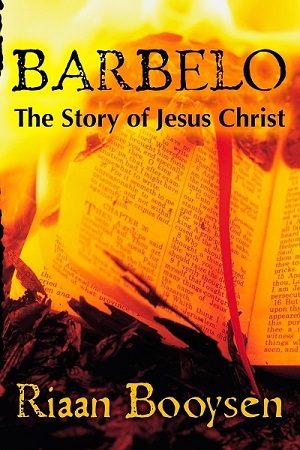 (5) On Barbelo – The Story of Jesus Christ I will make my comments in the next weblog. Apparently, barbelo stands for a gnostic concept (wikipedia). I completed reading Richard Carrier “On the historicity of Jesus” (OHJ) (last blog). I skipped the formula’s and will return to those later. 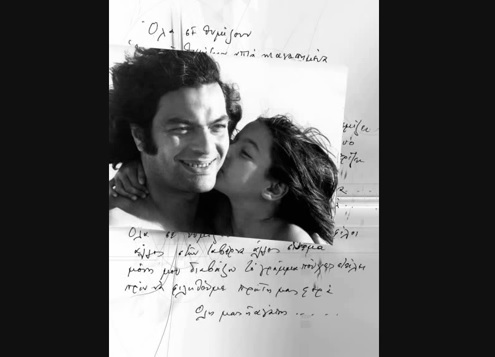 While writing this, I am listening to “Lola” (1964) by Stavros Xarhakos. “The traditional and established methods of historians are analyzed using the [Bayes] theorem, as well as all the major “historicity criteria” employed in the latest quest to establish the historicity of Jesus. The author demonstrates not only the deficiencies of these approaches but also ways to rehabilitate them using Bayes’s Theorem.” (Carrier, cover of “Proving History”) (book not read by me). One supposes that there is no other way than that historians clean up the mess. The brunt of the work will fall on the historians themselves, as few readers will be interested to delve into the issues in detail. We may assume however that historians are open to critical comments from readers with backgrounds in different subjects. The study of Jesus has been an ivory tower for too long, which caused the present mess.Thus let us target for a beneficial flow between experts and the educated non-experts. My interest derives from the education of mathematics, see “The simple mathematics of Jesus” (SMOJ) (2012). OHJ made me more aware of the existence and portent of the Epistle to the Hebrews. By his discussion I am struck by the application of logic in that epistle. This isn’t a mere letter but an exercise in logic. This fits my approach in SMOJ, that the clash of Judaism with the Greeks and Romans also was affected by the Greek attention for logic and mathematics (see what Euclid did in Alexandria around 300 BC). This exercise in logic in Hebrews made me also more aware of the gap between Judaism and Christianity. As Adam had eaten the apple and been thrown out of paradise, Moses made a covenant with Yahweh: the chosen people would be saved from Original Sin as long as they maintained Mosaic Law. This meant circumcision. This also meant obeying the Levite priesthood and support the sacrifices at the Temple in Jerusalem. This also reflected a power struggle in which the kingdom of Judea won from the kingdom of Israel / Samaria, and in which the temple at Gerizim and the priesthood of Melchizedek lost. The Levite monopoly on the priesthood was only nuanced by the option for persons from other tribes to be a nazir for a specific purpose, well supervised by the Temple. Enter now the new high priest of Jesus with a new covenant. As it took only one person, Adam, to create Original Sin, it took only one person, Jesus, to save mankind from it. Rather than sacrifice animals each day, Jesus will bring the greatest sacrifice, his life, be the Lamb of God, and achieve a result for eternity. Circumcision is no longer needed, just the belief in Jesus is enough, and baptism will do. The Levite priesthood in Jerusalem is stripped from its covenant and purpose and power. Part of the logic is that Hebrews has Adam and Melchizedek as celestial beings, so that Jesus is so too. One of the promises by Yahweh to Moses was that the king of Judea would always be a descendant from David. Everyone from 200 BC to 100 AD could see that this was no longer true to fact. Hebrews solves the issue in theological manner: Yahweh takes the seed from David in heaven and creates Jesus with it. Whence Yahweh kept his promise and all Jews ought to follow Jesus. The Epistle to the Hebrews beats the priesthood in Jerusalem in their own game. They failed in maintaining Mosaic Law by allowing kings not descending from David and high priests not descending from Levi. They didn’t have a logical answer to their failure. Now there is a logical argument that destroys their power base. What clinches the argument is that Hebrews selects its key phrases and reasons from the Old Testament itself. The epistle isn’t just a lecture but a reasoned argument from the holy book itself. The priesthood in Jerusalem is checkmate. NB. See here for a short discussion of Original Sin in the Torah. Who wrote the Epistle to the Hebrews ? Carriers starts OHJ with the “Ascension of Isaiah“, one of gospels that are not in the official canon. My impression is that he could rather start with Hebrews that is in the canon and that serves his purpose of presenting a celestial (mythical) Jesus too. It is not known who wrote the epistle but given the theological attack on Jerusalem we may wonder who might have been inspired to develop the logic. Judeans themselves, who became sensitive to apocalyptic ideas about the end of some cycle. Hellenizing Judeans in Alexandria or Antioch, who wanted their society to adapt, check e.g. the high priest Jesus (Jason) in 175-172 BC who founded the city of Antioch, or check Philo (20 BC-50 AD) and the Therapeutae. Judeans who fled from Jerusalem looking for orthodoxy but found themselves developing another logic, possibly in Qumran or Leontopolis. The Herodians who were of Edomite descent and claimed to be of the tribe of Benjamin, who were always criticized for not being from David, and who wanted to appoint their own priests. Johanan ben Zak(k)ai flees from Jerusalem in a coffin, predicts Vespasian that he will be emperor and rule over Jerusalem, and is rewarded with Javne, from which current rabbinic Judaism derives. He might feel forced to adapt the holy script that Jerusalem must be ruled by a descendant from David. The Ptolemaic dynasty, who already had created Serapis as a syncretic god for both Greeks and Egyptians, who also wanted to loosen the ties of their native Jews from Jerusalem. The Romans after the destruction of the Temple in 70 AD who would want Jews to lose their bellicose belief. Richard Carrier does not yet follow the “time shift” hypothesis by Lena Einhorn. In my interpretation of his results, but including Einhorn, an obvious scenario is that the story of the celestial Jesus already existed before 70 AD, and that the destruction of the Temple caused some authors to create the Gospel of Mark in which the celestial Jesus is replaced by a Jesus walking the Earth. Thus the motives for the celestial and earthly Jesus somewhat differ, and the latter takes advantage of the earlier. (See this earlier weblog why Christ came to Earth.) The reason for this scenario would be that the Epistle to the Hebrews would not show a notion that the Temple had been destroyed. Perhaps an alternative still lies with an approach in which the destruction of the Temple was so far in the past that it didn’t matter so much anymore. One scenario would turn the Samaritan Simon Magus into Paul, with one of his pupils again teaching Marcion, see the approach by Detering and his attention for the Dutch Radicals and their view on the Pauline (rather Marcionite) epistles. This slow scenario would allow for a more gradual development till Nicaea in 325 AD. But it is not discussed by Carrier. I was struck by this review by Robert M. Price of a book by Eisenman. Price also discusses Huller on the Samaritan connection. Huller’s 1999 book wasn’t well received, see also Huller’s sigh on New Testament Scholars, but Price gave it five stars in 2009. The only answer remains proper scholarship. Reading Carrier’s book I was again struck by the label “nazoraios“. In SMOJ (2012) I couldn’t get a good explanation for it. Wikipedia still lists the possibilities …. and pick your choice …. Nazarene doesn’t fit. The following new suggestion isn’t in that wikipedia list. Since the education of mathematics of Jesus requires a good look at Egypt and the pyramids, and since Josephus’s Egyptian is also mentioned by Carrier and Einhorn, I wondered whether NZR would mean something useful here. I presume that vowels in Egyptian and Hebrew are less certain than consonants. The same google also gave John Day (ed) “King and messiah” on the Hebrew “nezer”, relating to a head attire (crown, golden head band) for the high priest, see Ps 89.39. Since the Epistle of the Hebrews presents Jesus as a high priest, I suppose that this might fit. Thus “Jesus the nazoraois” (notably in Acts and copied by Matthew but not Mark) could mean “Jesus who is crowned as the high priest”. I leave it as a suggestion to the linguistic experts. Interestingly Day (ed) still mentions Milgrom with a link (but called unlikely) to the Egyptian nzr.t (snake goddess) or nsr.t (flame) “both used for the Uraeus serpent projecting from Pharaoh’s crown”. Given the fundamental influence of the Egyptian Book of the Dead upon the Old Testament I wonder whether that link really is unlikely. At this stage I am still far from a conclusion. Perhaps a comparison of SMOJ with Carrier’s OHJ is a good way to see whether there can be some such conclusion. In the mean time: (1) OHJ is an advisable read when you are interested in the origins of Christianity, and on questions about how to deal with the three Abrahamic religions, (2) The arguments on probability and Bayes still seem less relevant than the arguments on logic and facts as these already transpire from OHJ, (3) Ancient history apparently is a mess and we should hope for a climate in which they get their act together, and in which they also open up to critical comments from educated outsiders (as other fields of enquiry do too). “the first comprehensive pro-Jesus myth book ever published by a respected academic press and under formal peer review”. Carrier apparently doesn’t claim a new unique argument but he collects those of many others and his own past, and provides a framework that the academia will have a hard time to neglect. Some earlier books by professor Robert M. Price appeared at the ‘American Atheist Press’ that might be looked-down-upon by the academia (they might also have been published by the “International Do Not Read Me Press”). My own book The simple mathematics of Jesus (SMOJ) (2012) is printing on demand which doesn’t seem attractive to the academia either (and I don’t want to be a historian of course, see SMOJ). Apart from this advance praise we can also identify some risks. These risks should not stop you from considering the book. You cannot live without risk, and I only advise you to read with care. Let us first establish that the academia are a failure in this realm of research. The academia with their “peer-review” have been biased ad nauseam. Theologians presume the existence of God, and don’t mind a “deus ex machina”. Researchers in New Testament Studies presume that the gospels are “history” and neglect evidence to the contrary. Plain historians of antiquity would be more open to doubt but have stayed close to the earlier groups, producing fallacy after fallacy. Historians act as if they are judges of the past but this is unscientific, see below. Carrier himself is not at the academia. After his Ph.D. he apparently opted for writing articles and books. This present book has been supported by a collection of $20,000 from sympathisers. Carrier seems to think that historians would be judges of the past. It are they who determine what truly happened and what didn’t happen. I have explained before that this attitude is unscientific. The basic historical issue is to indicate the uncertainties that exist rather than hiding those behind a decision. Steve Mason in What is history? clarifies that “history” originally just means “analysis”, in comparison with believing ‘evidence’ at face value, or passing on stories, or mere keeping of records. Carrier develops uncertainties, indeed. His goal however is an aggregate grand view. I advise against that goal of trying to be a judge over the past. The relevant information about Jesus Christ is lost in history and it is no use to kick the absence of information till it confesses. But I admit that once we have all those uncertainties laying about, and a simple technique to estimate degrees of acceptability and aggregate them, then it might be informative to do so. His choice of technique is probability theory, with Bayes reasoning. Bayes’s Theorem merely is a technique that allows us to work systematically with (conditional) probabilities, for example the probability of the truth of a hypothesis given the evidence. It is useful to observe that some evidence drops out (in relevance) when it supports both historical or mythical views on Jesus. It seems that the use of this technique indeed allows Carrier to order the material, which supports the “comprehensiveness” of his analysis. I haven’t further checked his dealing with the method. I have my doubt about this kind of use of probability theory. I see more scope for logic and better treatment of data. The true problem is the failure of the academia, and it would be nonsense to think that the solution came from Bayes reasoning. But one reason for me to recommend OHJ as it stands is that it provides for both a structure and lots of historical detail, so that it is useful even when its use of probabilities is overdone. In other realms we use “Delphi techniques” for “expert views”, and it might be useful to record those and reflect on what those tell us – and whether there really are experts. I still wonder what to do with “lack of evidence” e.g. caused by destruction by church authorities who didn’t like some materials. Perhaps Eusebius had a report about a nazirite Joshua (and could we translate this as “nazoraios” or “lestes” ?) who healed some people but also committed more violence than fitted Eusebius’s image of the Good Lord, and he destroyed that material and instead inserted the Testimonium Flavianum (TF) to maintain the notion that there was historical evidence. Stranger things have happened. I enjoyed reading Carrier confirming that also others suspect that Eusebius inserted that TF anyway. Overall, even if a calculation would result into a 99% versus 1% split of the probabilities, then one could still opt for the minority opinion (i.e. the 1%), for there still would be a chain of logic. Probabilities are just one of our instruments. It seems that Carrier overestimates the value of the Bayes-framework for improving his field of history of antiquity, also by suggesting that “most probable” could replace judgement. See Appendix A. But perhaps see the video. All relevant (larger) historical or mythical theories should satisfy at least one of those minima. Relevant is the comparison of the marginal probabilities, with μ = Pr[m] and η = Pr[h]. From the latter two zero’s it indeed is a matter of μ versus η (see OHJ:55). His estimate is that μ = Pr[m] ≥ 67% and η = Pr[h] ≤ 33%, so that the evidence makes it twice more likely that Jesus was a mythical than a historical figure. The joint case with ε is an issue. Are h and m defined sufficiently sharp to prevent an overlap ? Perhaps ε is actually quite large, so that it dominates the outcomes for μ and η, so that the distinction between the latter is rather meaningless. Both groups would be right, somehow. There might be various Jesuses, also called Brian. Consider the Egyptian, below. Or consider some person like Flavius Josephus who saved some people from the destruction of Jerusalem, and got a story going that he was a saviour. Perhaps some stories of such remarkable persons got mingled with existing stories about angels and other mythical beings. One might argue that only the existence of such a myth story would allow the absorption of such stories about real people. Others might find joy in being able to point to such an inspiring person. So that the distinction somewhat evaporates. Crucifixion is important, and let us look at how many preaching Jesuses might have been crucified in that period: which is the proper one ? (My calculation is a bit more complex than OHJ:31.) Carrier is right that the methodology causes us to focus on the arguments around ε. But it seems that researchers did so already before. The real problem is that they have not been willing to take a scientific attitude and allow that there is no historical Jesus. See Appendix B for another example of a possible blur, now on the minimal myth version m.
Since I regard Acharya S (D.M. Murdock) as major contributor to the analysis of a mythical Jesus, I was interested in what Carrier has to say about her analysis. But she isn’t mentioned in the index. We could infer that Carrier doesn’t regard her work as being of peer-review status and thus not worthy even of mentioning. This is curious. Carrier focuses on a window of say 100 BC – 200 AD and presents a “Minimal Jesus Myth Theory” (MJMT) with five properties, and the first property would be that “Jesus Christ was thought to be a celestial deity”. We can imagine that this might be some kind of minimum. However, the idea of celestial beings doesn’t drop from thin air. There has to be a history of how people got to believe in such celestial beings. Enters Acharya S who looks at 5000 BC – 1000 AD and shows that astro-theology gives a perfect explanation. Her “Christ in Egypt” is a marvel. This is a put-down but also vague. The peer-review editors should not have accepted is – which shows the limits to peer-review again. Perhaps it might be acceptable that Carrier is so frank about his dislikes that he cannot even read books on the subject. But he isn’t just frank but also expresses an opinion, while the rule is that an argument should be based upon actually reading the matter. People in antiquity believed in astrology and this affects the probabilities. There appears to be more to the lack of “sympathy”. See this webtext with a protest from a co-worker of Acharya S who protest that Carrier has been putting down her work for some ten years now without actually studying it. This is a breach of scientific integrity. Note that Carrier earned his PhD in 2008, at least six years ago. Getting a PhD at Columbia didn’t teach him to look at material with an open mind. My proposal is that he reads and reviews her book “Christ in Egypt” so that we can check whether there is more than bias, or a cause for an apology. This is relevant to the issue. The Egyptian Book of the Dead influenced the Old Testament (OT). The NT is a rehashed summary of the OT. Thus the analysis by Acharya S has major meaning for the probabilities for the myth theory about the NT. See my SMOJ for also this exercise in logic. Also important is Lena Einhorn’s time shift hypothesis, holding (a) that the crucial events took place around the destruction of Jerusalem and the Temple in 70 AD, but (b) that the New Testament (NT) authors changed dates and names to 30 AD to reduce suspicion in the time when they were writing. Einhorn isn’t mentioned either, which means that Carrier’s “history” may be 40 years off-target. Interestingly, Josephus relates of someone “called The Egyptian” who wants the walls of Jerusalem to tumble. While Josephus commonly gives us names, he doesn’t provide one for the Egyptian. But perhaps he did indirectly with the midrash on Joshua and Jericho. The academia have been failing for at least fifty years if not longer. Education levels rise overall and you cannot blame people to criticise the academic failure. Ptolemy Soter around 300 BC deliberately created Serapis to unify the beliefs of Greeks and Egyptians. Thus deliberate syncretism is a proven tool of government. There are various syncretic faiths where-ever the Greeks met local faiths. Thus some syncretism with Judaism is conceivable too: and this became Christianity. The development for the Jews took longer since Judah lay at the frontier of the Seleucid Empire and Ptolemaic Egypt and was constantly fought over, with a moment of independence. Apparently it took the Romans to clinch the matter. Thus it is not strange that Atwill developed the scenario – and it is a criticism of the academia that they couldn’t refer to relevant research to the same. Robert M. Price is critical of Atwill’s work too: but in civilised manner. It really is possible to do so. It may well be that Atwill is no trained researcher and that his claims are over the top. If Carrier thinks so, then he can state the arguments and leave it there. It indeed requires scholarship to weed out the nonsense. I would say to Carrier: keep the creative and interested audience, and help guide the discussion by setting the proper example. Atwill also deserves praise for opening up closed arteries and exposing the failure of the Ivory Tower. Carrier might hold that he has to be critical to academics and non-academics alike, and historicists and mythicists alike, and this is obvious so, but at issue is the abuse of language in Atwill’s case. Carrier’s personal error with Atwill apparently was getting too deep into a person-to-person exchange. Atwill hasn’t done Carrier any harm. Carrier only complains that it took too much of his time. It is his own responsibility to stop in the right and proper manner. He should have made his analysis on content more public at an earlier stage, so that Atwill would have the criticism of others too. Yes, Atwill apparently presents himself as a researcher and shouldn’t. When the academia are failing so much and use the Ivory Tower argument to silence criticism, then we must fear that they reap what they sow. The answer does not lie in vilifying non-academics. I don’t think that Carrier can neglect the authors Acharya S, Einhorn, Atwill. He falls in the same trap as the academia have done before. Yes, it is a victory for Carrier to have this book now published in the academic community. But it is a misconception on his part that he should join the academic community in the disregard of those who are critical of that community. It would feel much more agreeable and fitting when the community of people studying the Christ Myth could feel proud for what Carrier has achieved, instead of feeling estranged by what is happening now. Today them, tomorrow you. Someone alerted me to this passage and its obvious rejection. If an exercise for 10 theories generates outcomes into the range of 9% to 11%, then we cannot hold that historians should agree on the outcome that seems most probable (here 11%). So it may be doubted whether Bayes would give the answer. But Bayes remains a framework to model your contribution. It remains useful to note Carrier’s observation about the nonsense coming out of the Ivory Tower. It shouldn’t amaze that the outside folk start making critical remarks themselves. A minimal requirement for a mythical Jesus according to Carrier is: “Jesus Christ was thought to be a celestial deity”. Carrier therefor pays a lot of attention to the Ascension of Isaiah, in which celestial Jesus has a celestial crucifixion. Supposedly this gospel got some circulation before church doctrine put it on the back list (and started changing it). Note that the crucifixion has to be on a “celestial tree” as a copy of a “tree on earth”. This necessitates a theory that heaven and earth copy each other, see also my earlier explanation why Christ came down to earth. Carrier disapproves of a reading in terms of astro-theology, with the cross given by the ecliptic given by Plato in the Timaeus. But there is a scenario in which there might not really be a need for a celestial Jesus, while we still could speak about a mythical origin. There is the docetic view like from Philo and the Therapeutae. This concerns God and not necessarily the Son of God. If Josephus lists all relevant sects then it is fair to start from one of those. (Though: I don’t know whether he also lists the sects in Samaria – in the distinction between the old two kingdoms Judah and Israel, and with apparantly some belief for Inanna there from Babylon.) The destruction of Jerusalem of 70 AD required a priestly response for those believers without a Temple. Judaism and the scrolls of the OT needed to be saved from obliteration. Deliberate syncretism cannot be avoided. Perhaps the playwrights in Alexandria put in extra hours. The sacrifice of the son of god is chosen to symbolise the sacrifice of Jerusalem, and there is the resurrection into the new community of survivors. The saviour is immediately fleshed out by Mark from Homer, in the manner described by Dennis MacDonald. Matthew makes sure that he becomes the son of David. This thus would be a mythical origin of Jesus without there actually having been a “crucifixion in the sky” as Carrier suggests. Of course, when Paul adheres to a celestial view of Jesus, and when Paul would contain the first text, as Carrier suggests, then the scenario of the Ascension of Isaiah is likelier. But Paul might not be the start. In other words, the origin might be messier than suggested. When you cannot listen to music without reading something, then I suggest this review by Philip Davis of the autobiography of Paul Feyerabend, that starts in World War 2. When some people are calling for another war of religion, let us remember Country Joe & the Fish in the song I-Feel-Like-I’m-Fixin’-to-Die: asking What are we fighting for ? 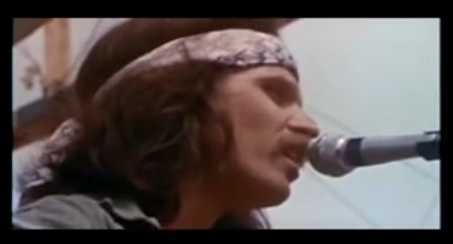 This song is so part of collective memory that I was surprised to discover that Joe McDonald still lives and thrives, see his website. 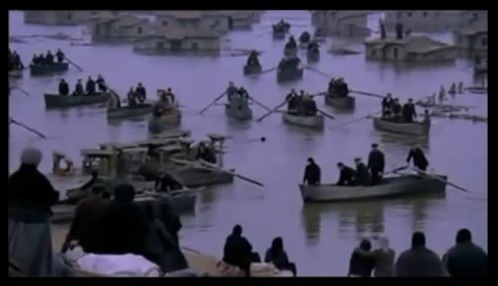 There is also a great song by Thanos Mikroutsikos Mia pista of fosforo (“Dancing Floor made by Phosphor”), with a movie that depicts Greek people fleeing from either the euro or radical islam. You would not want to get in the same situation. Subsequently there is Manos Loizos in “Ola se thumizoun”, which seems a love song but might also refer to a letter by a soldier who will not return from the battlefield. There is a simple version by Loizos himself and a concert version by Haris Alexiou who is clearly in pain for the sorrow that the letter causes. Here are the lyrics by Manolis Rasoulis.